This morning, I paid a visit to Deception Pass State Park. 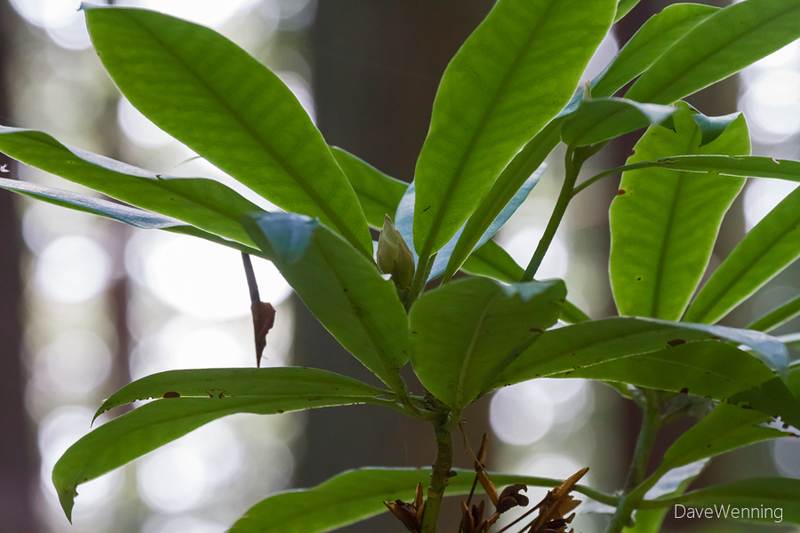 My purpose was to check out the Pacific Rhododendron grove on the southern flank of Goose Rock. I am delighted to report that they are all still there. I will begin hiking into the grove near the end of April to catch the flowering. If anyone wants to come along, I would enjoy the company. Prime time for blooming is the last week of April and the first week of May, or thereabouts. If you wish to join me, we will meet in the North Beach parking lot. This is accessed from the main park entrance on Whidbey Island. 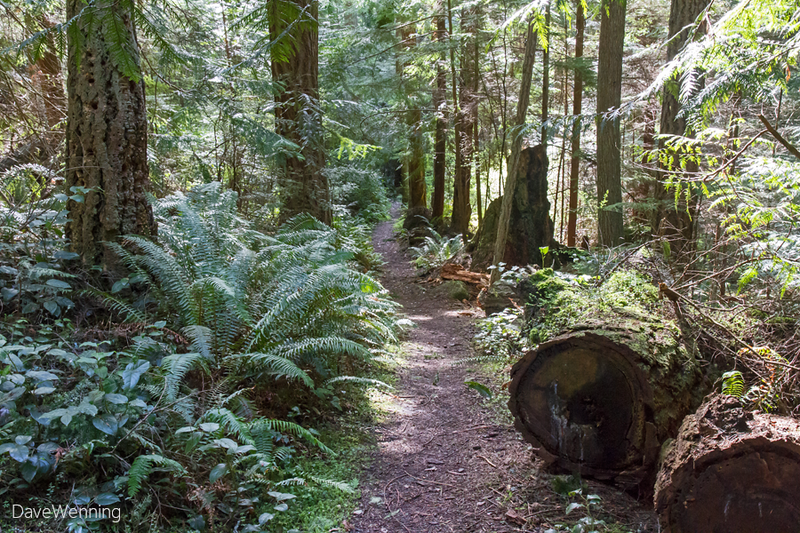 The Lower Forest Trail is a gentle, continuous 10-15° slope down to the grove. The Southeast Goose Rock Summit Trail has a short section of steeper trail (about 20-30°) upward to reach more of the plants. Follow my Twitter account @DaveOnFidalgo for announcements of dates and times. I will use the hash tag #PacRhododendron. The dates will depend on the weather on days I am not working, so the lead times may be short. Bring your cameras, but not your pets please. This will give us a better chance of spotting wildlife as well as rhododendrons. Also, don't forget your Discover Pass. 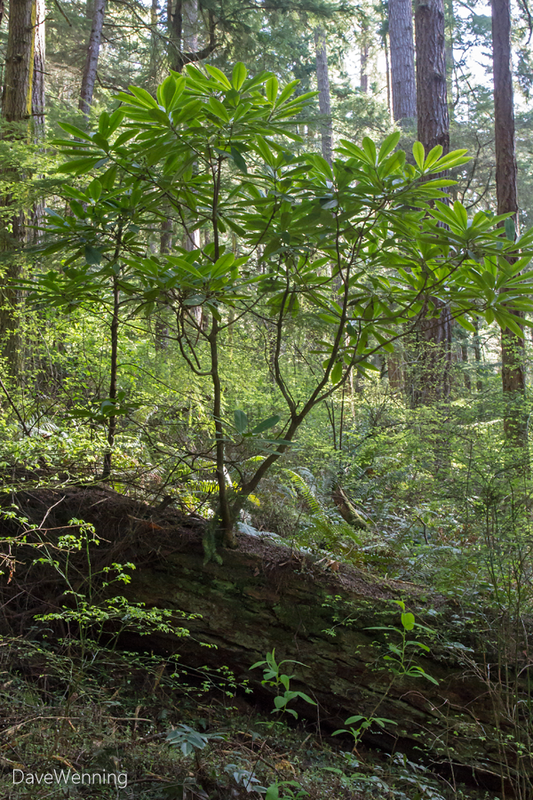 Drifts of rhododendron shrubs more than 10 feet/3 meters tall fill the understory in this part of the Goose Rock forest. I am hoping we get a good bloom this year. Last year's flowering was a bit sparse. 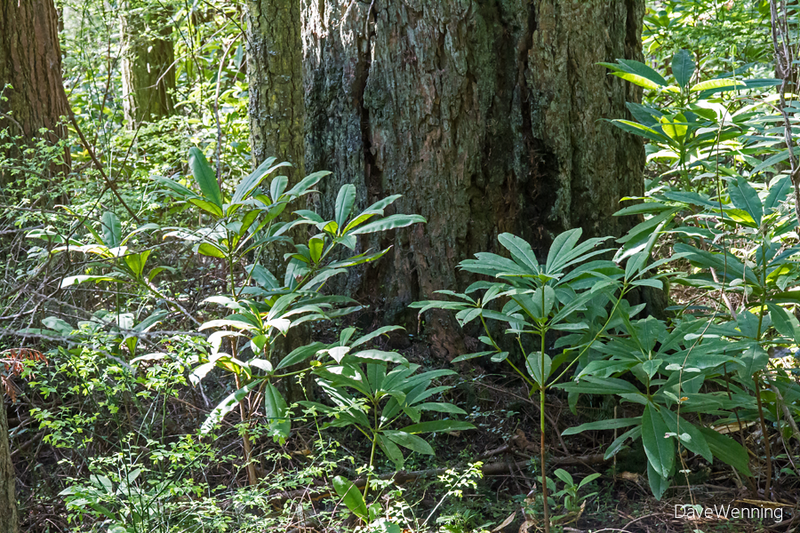 The Lower Forest rhododendrons also provide lessons in forest ecology. The first plant we'll see is growing out of a fallen Douglas Fir. We will also spot Western Hemlocks, Salal, Huckleberry and many other native plants growing out of these "nurse logs." Life after death is one of the primary themes in an old growth forest. Today I did spot some flower buds and I am expecting the bloom to be better than last year. 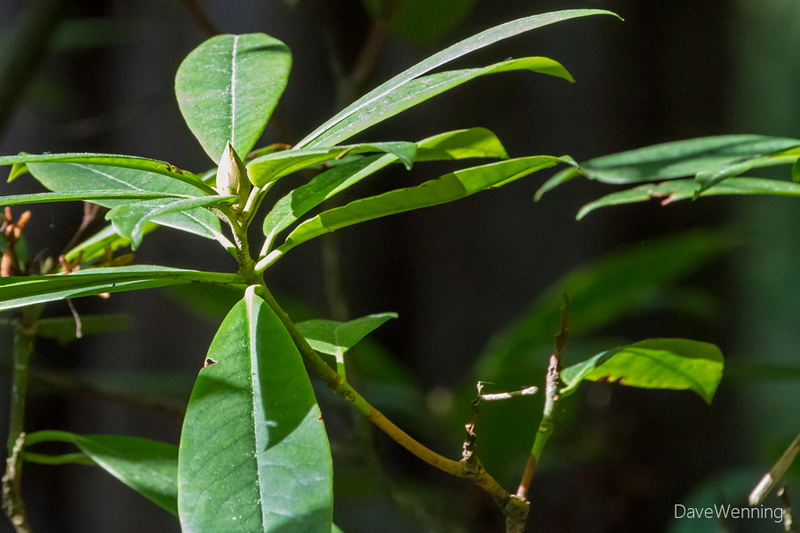 The native Pacific Rhododendron or Coast Rhododendron (R. macrophyllum) is the Washington State Flower. 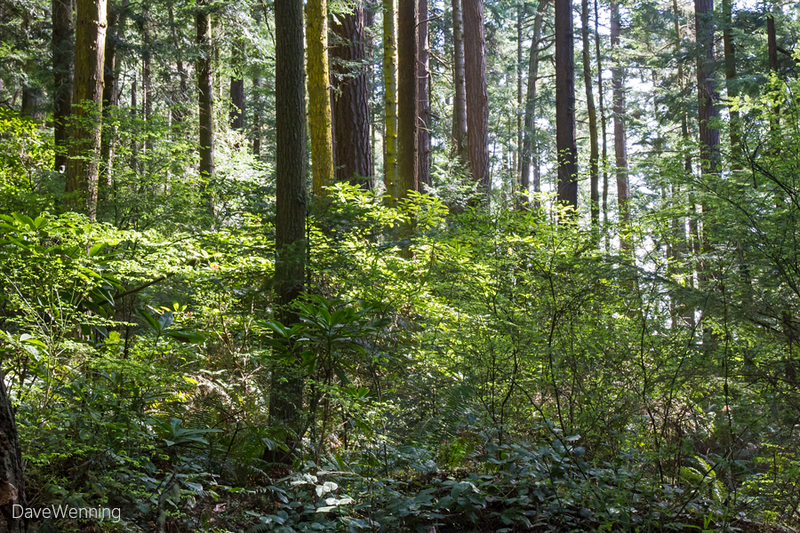 This grove in Deception Pass State Park is one of the few places they can be found growing wild. They also grow in western Oregon and Northern California. The Washington Native Plant Society (pdf) recommends them for the woodland garden. They are not easy to find in nurseries. Please do not dig them up in the wild. Wild plants will not survive the transplant. 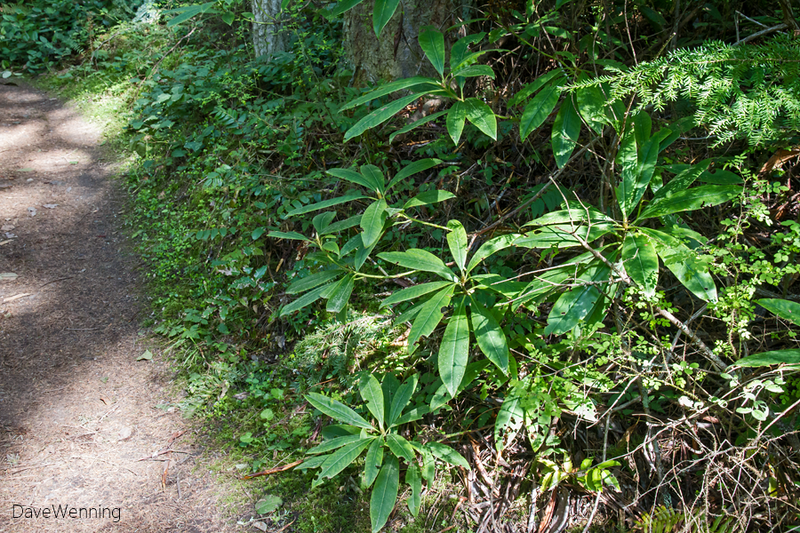 Even without rhododendrons, this hike is one of the prettiest in the park. 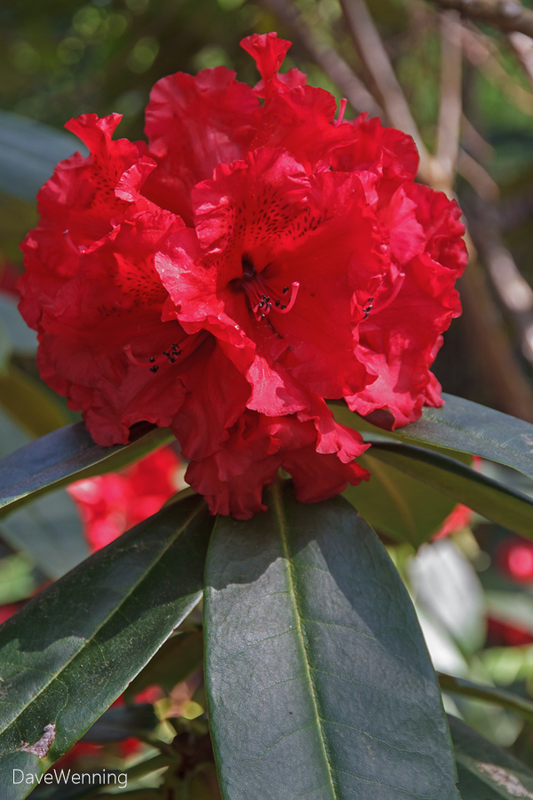 If you are looking for inspiration for a woodland garden, come to "Rhododendron Country." In the meantime, this is Rhododendron 'Taurus' which is now blooming in my garden. Rhododendron season is fully underway in the Pacific Northwest. 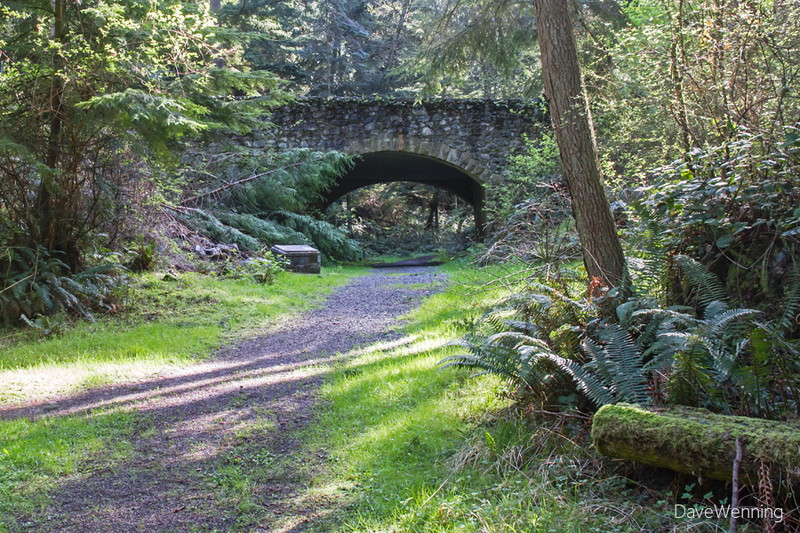 I would love to join you on a Deception Pass hike! Work totally unpredictable, so won't know until right before but will check your Twitter account. And thanks for the retweets!